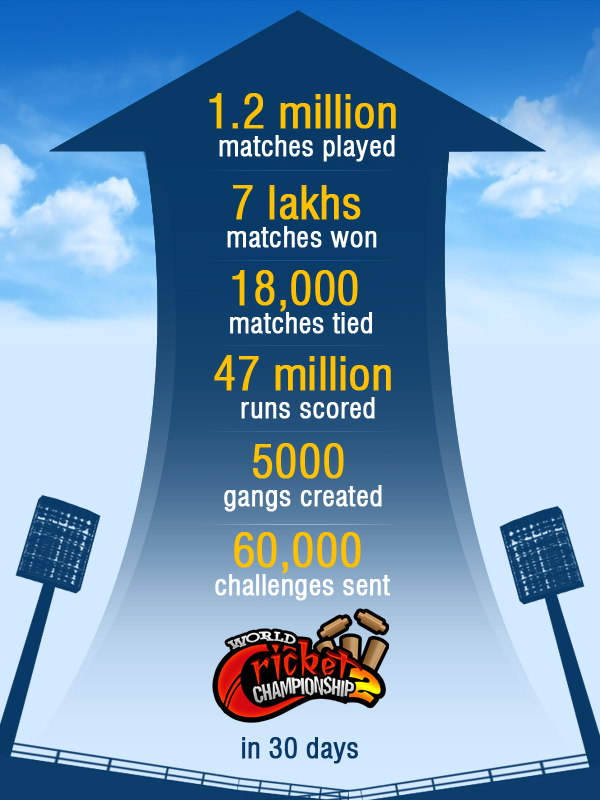 With the help and support of all our fans we have reached a landmark 1.2 million matches completed in 30 days. Come join us in the fun, Knock a few balls out of the stadium, challenge your friends to a engrossing 20/20 match or even create a gang. Experience the most intense cricketing game for the true cricketing fan.